A fascinating casebook of true stories from the self-styled "Card Detective" that reveals the inner workings of backroom poker cheats, dice scams, bunco artists, horse race swindles, rigged games of the carnival and midway and much, much more. 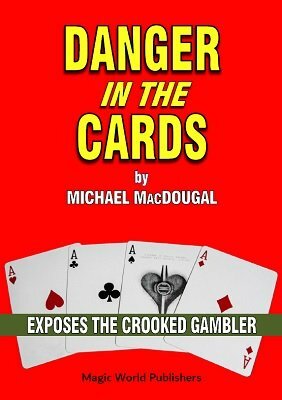 Written in a breezy style, "Mickey" MacDougall takes the reader along for an entertaining and informative ride as he consults with casino bosses and card room owners to stamp out cheaters and grifters. Swindlers take many forms and purvey their trade anywhere people gather: aboard trains and cruise ships, at the racetrack, in back alleys, military barracks, hotels, night clubs and even in private homes. Learn the various swindles and cheats and how to protect yourself. Don't get taken, unlike the victims in the book. 1st edition 1943, PDF 263 pages.